PSSOU Admit Card 2018 – has been released for the seasonal exam December 2018. The University has released PSSOU Admit Card on the official Website, pssou.ac.in. Students can download the PSSOU Admit Card / Entry Letter from the website from this page. The Entry Letter will also be available in the study centre. To download the PSSOU Admit Card 2018 students need to select Course and Enter Name or Roll no. Students are advised to download and carry PSSOU Admit Card 2018 to the exam centre. No students shall be entertained in the exam centre without the Admit Card. 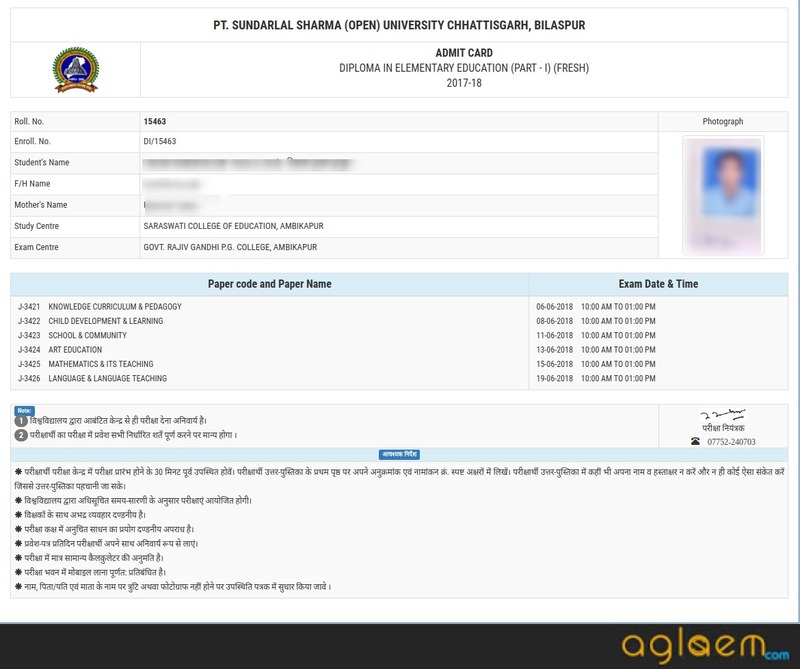 Check the name roll number and course mentioned on PSSOU Admit Card before downloading. Students are advised to follow the necessary instruction mentioned in the Admit Card strictly or shall not be allowed to write the Term End Exam. Check the article for PSSOU Admit Card complete information. Latest: PSSOU Admit Card/Entry Letter for Seasonal Exam December 2018 has been released. The Exam will commence from December 14, 2018. If the Admit Card for Seasonal Exam December 2018 is not available for some students on the website or in the study centre then they have to carry the photocopy of the application and visit the University. After the verification, the Admit Card will be provided to those students. Check the table for the exam Time Table for December 2018. 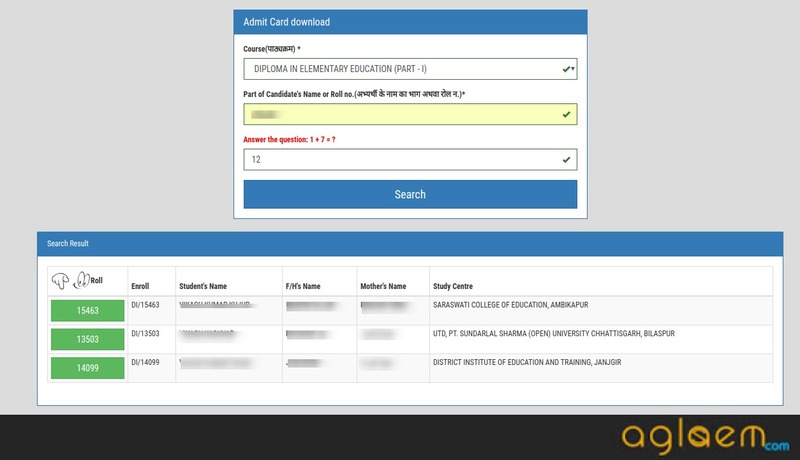 How To Download PSSOU Admit Card 2018? Students can click the link provided above to download the Admit Card. Follow the steps to download the Admit Card from the Official Website. Enter the name or roll no. Take the Print of the Admit Card. Check the list of printed details on the Admit Card for seasonal Exam December 2018. The instruction mentioned by the University is necessary to follow by the students without fail. Check the list of necessary instruction. Students have to enter the exam hall 30 min before the exam. Don’t sign your name anywhere in the test answer book. PSSOU Result 2018 will release on the official website of Pt. Sundarlal Sharma Open University. The Students can check the result from the website and even from the study centre. The Marksheet will be available in the Study Centre. Students can collect it from their respective Study Centre. Students of the final year who passed in all the paper of the courses opted can fill the application form for Degree and migration certificate. Check PSSOU Result 2018 for complete details on Pt. 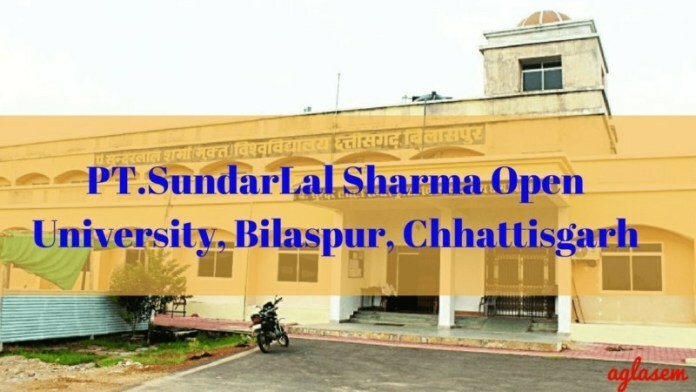 Sundarlal Sharma Open University.